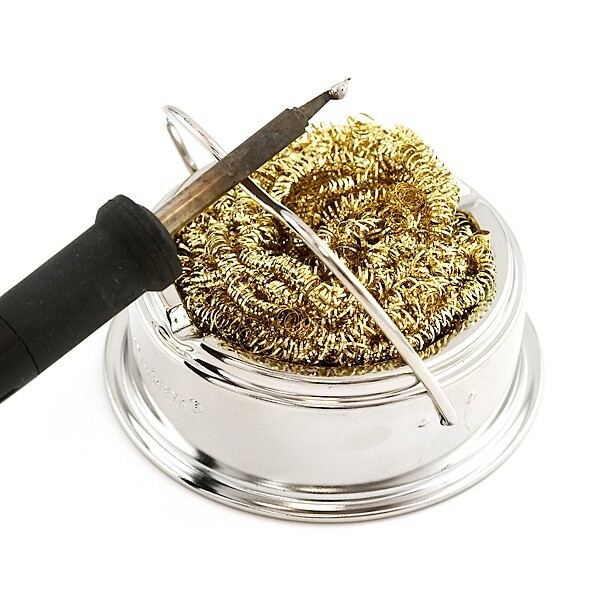 This is a brass sponge that includes a sturdy base and a soldering iron holder. The sponge will help clean your soldering iron tip. Brass sponges clean better than conventional sponges and will not damage your iron tip. Made of low abrasive brass shavings and requires no water. We also sell replacement sponges below.